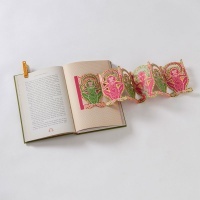 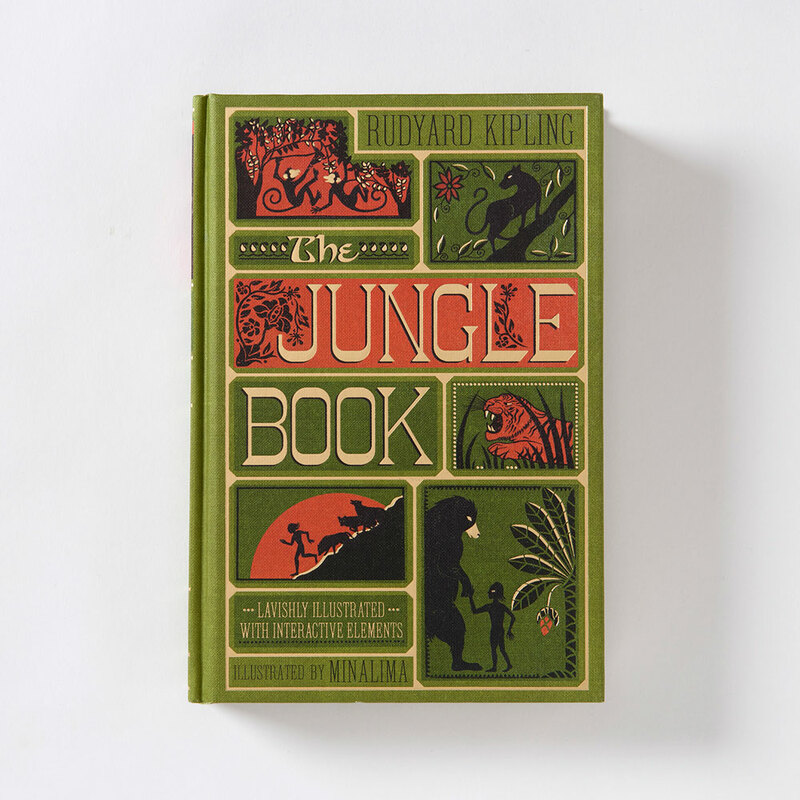 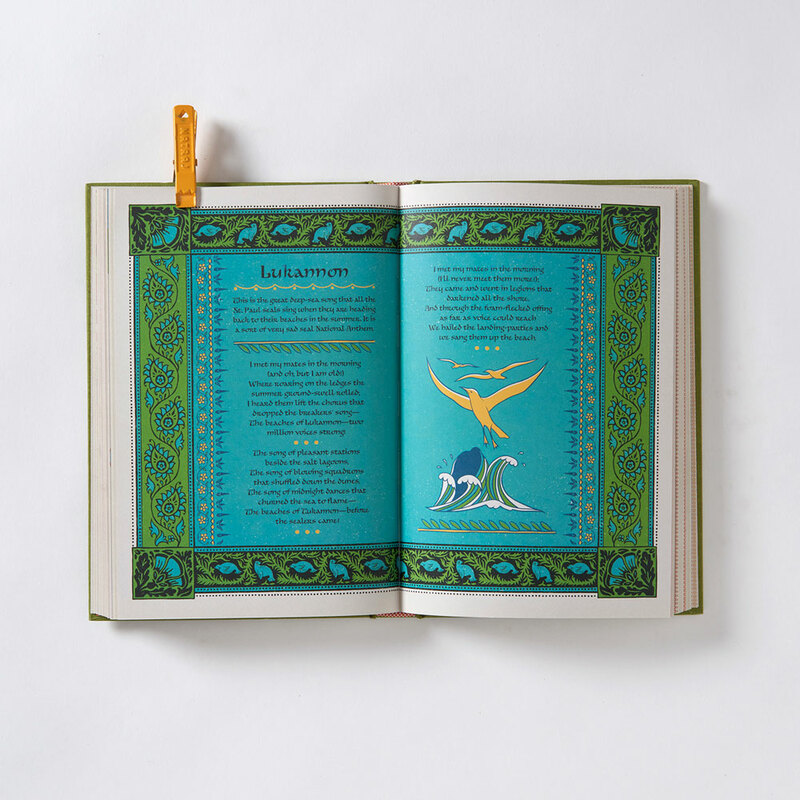 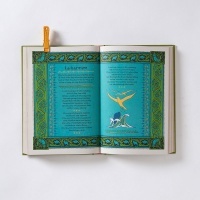 Design studio MinaLima, creators of the graphic art props for the Harry Potter and the Fantastic Beasts films, have released an illustrated edition of Rudyard Kipling’s The Jungle Book. 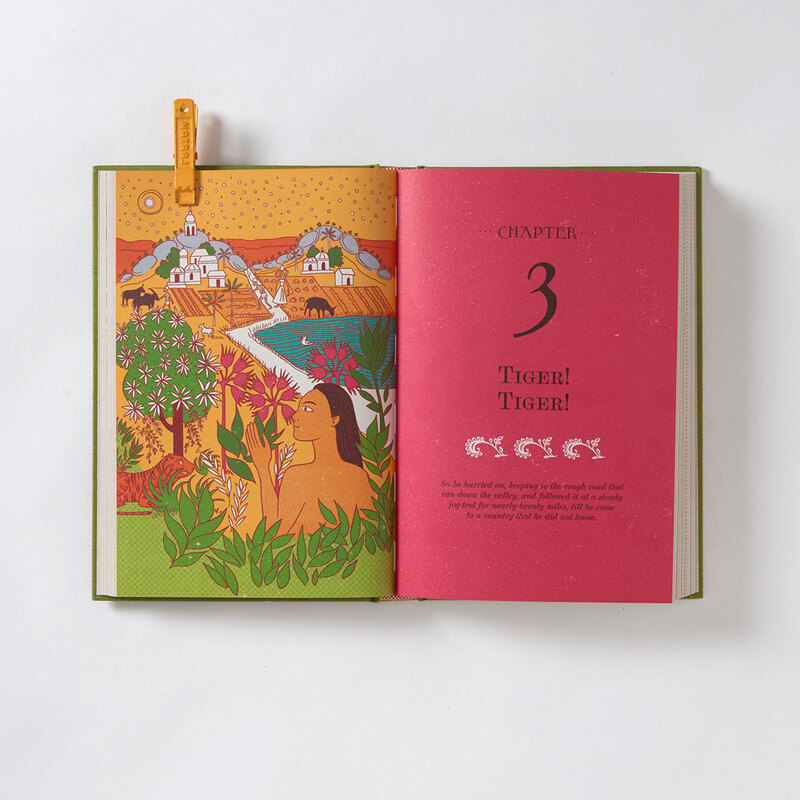 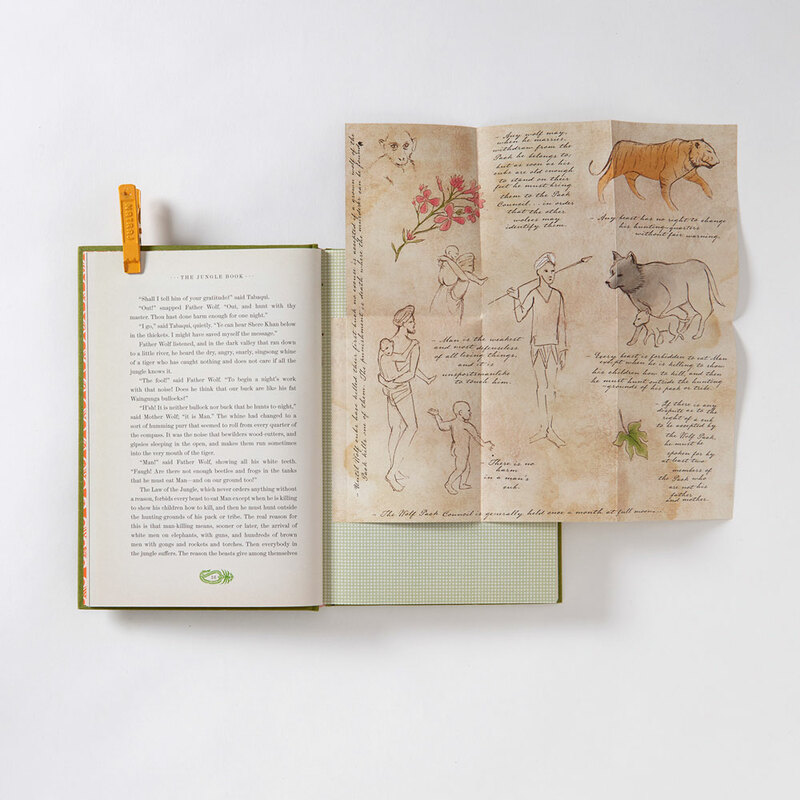 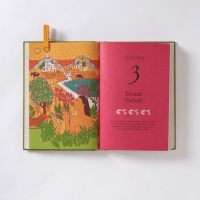 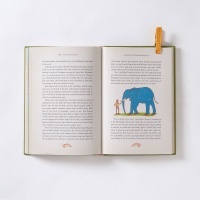 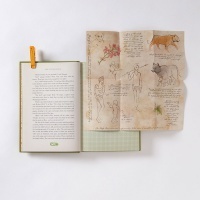 The unabridged 256 page hardback brings the classic story of man-cub Mowgli to life with colourful illustrations. 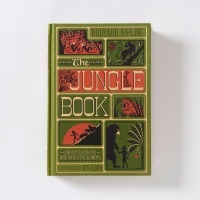 Some of the most iconic moments in the plot like the evil python Kaa’s hypnotic dance and the kidnapping of Mowgli by a clan of monkeys are animated with interactive 3D pop-out elements. 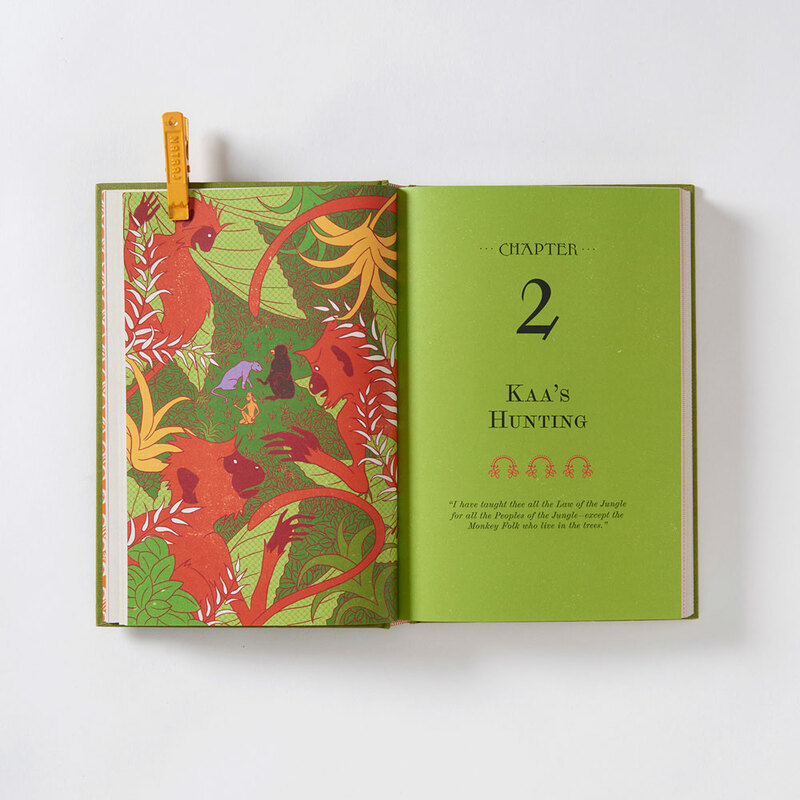 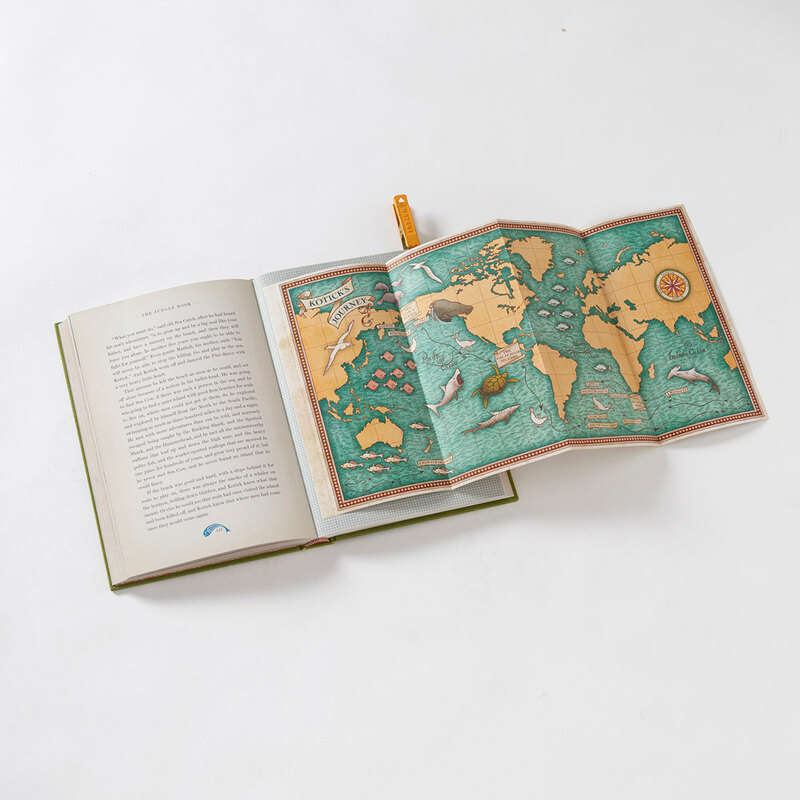 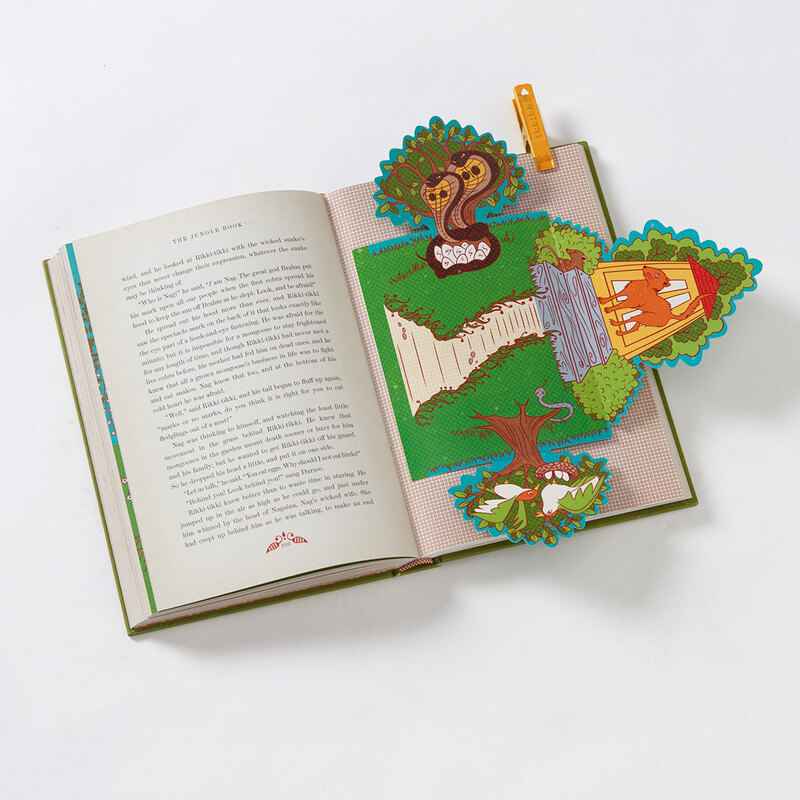 This is a second reimagined classic from the designer duo, and follows a similar illustrative style as their edition of Peter Pan, also published by Harper Collins.